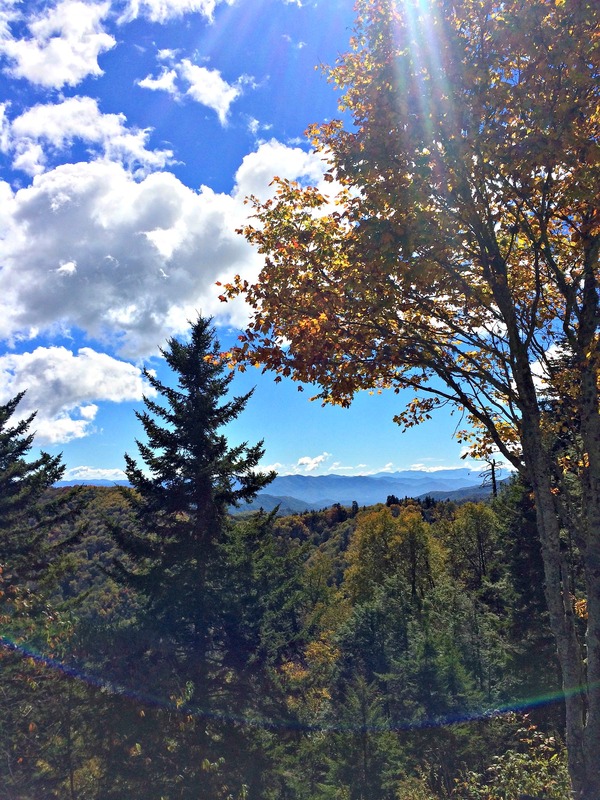 October is the perfect month to head to Gatlinburg. There are so many fun things to do, whether you enjoy the sights and attractions of downtown or head to the Great Smoky Mountains National Park for a hike or fall drive. 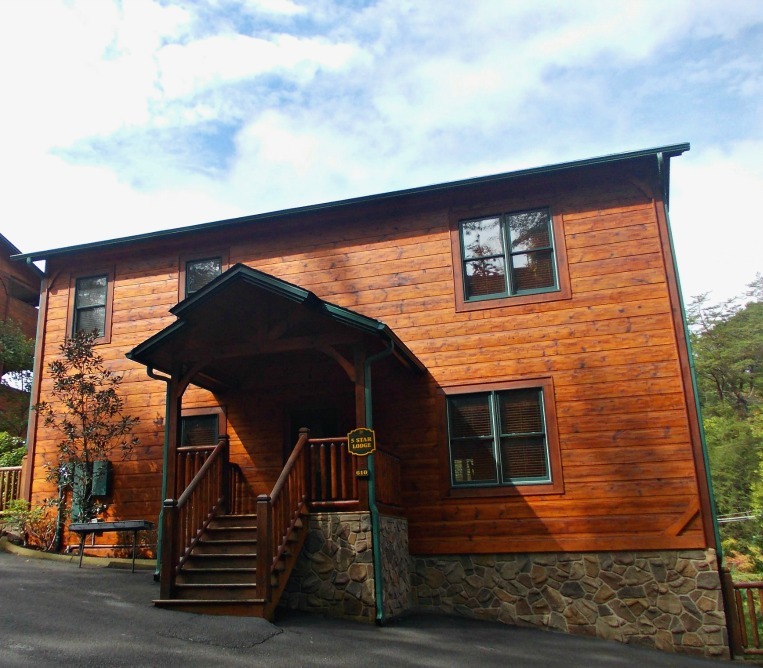 Nashville public schools had fall break a couple of weeks ago and we were invited by Gatlinburg Falls Resort, named by the editors of Southern Living magazine the “#1 Family Resort in the Smokies,” to review one of their cabins. 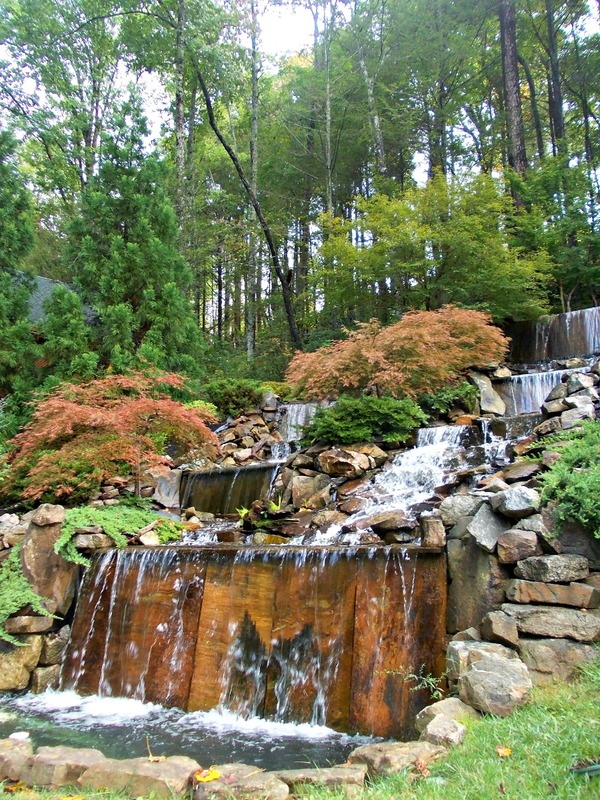 The resort was very easy to find and just 5 minutes from downtown Gatlinburg, which is currently decorated in all its autumn glory. Despite the close proximity to downtown, the resort has a secluded and private feel, which is great after a busy day sightseeing! The entrance to the resort is beautiful and recently was awarded for landscaping. Check in at the resort starts at 4 p.m. and did not take long at all and I liked the fact that we had a key code and not a physical key to keep up with. We stayed at Five-Star Lodge, a five-bedroom, three-level cabin that had everything we could ever want! 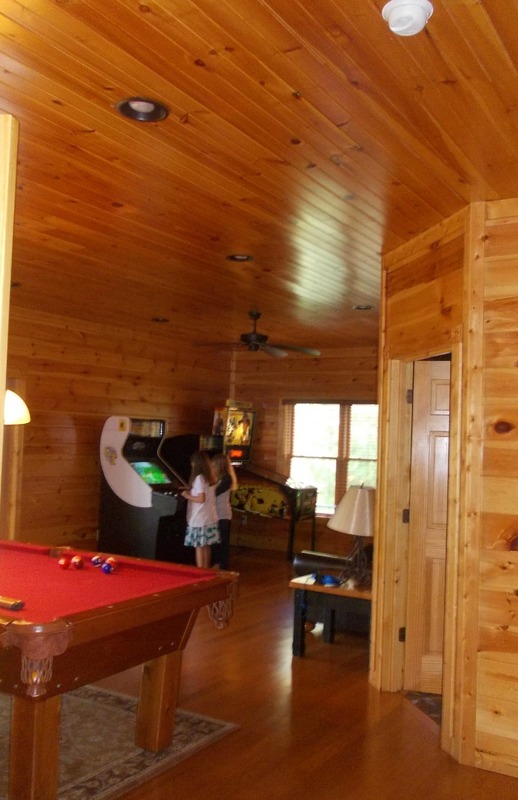 With all of the amenities, such as a full kitchen, hot tub, washer and dryer, home theater, and game room with a pool table and air hockey, we could have never left the cabin. 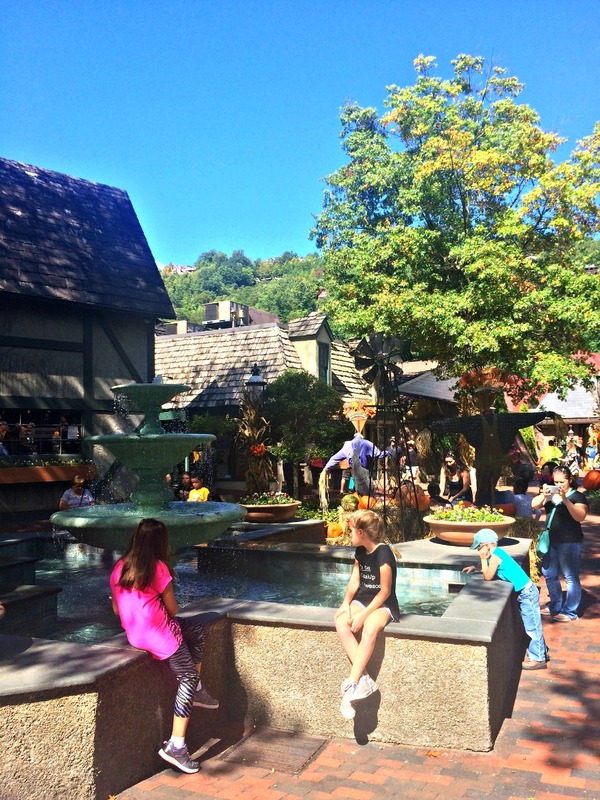 Although we loved taking our kids to the downtown Gatlinburg area, sometimes it can be sensory overload and you just want to relax at your cabin and get away from the lights and loudness of the tourist district. I love that the Gatlinburg Falls Resort website is easy to navigate and that you can look at cabins by number of bedrooms as well as look at floorplans. By the time we arrived, the teens in our travel entourage had already scoped out the lower-level bedroom because of its proximity to the game room, home theatre, and hot tub, which was perfect on cool fall nights after hiking! We got settled in on our first night and ate dinner out in downtown Gatlinburg at No Way Jose’s Mexican Cantina. Again, it was so nice to be able to pile into our vehicle and have a quick 5-minute drive from the bustling downtown area, but be in such peaceful surroundings. After our first night of dining out, we ended up using the amazing kitchen in our cabin quite a bit during the remainder of our stay, as well as the outdoor charcoal grill. The kitchen included a coffee maker, full refrigerator, all utensils and pots and pans and dishes. We made plenty of big hearty country breakfasts every morning and I loved enjoying my morning cup of coffee (or three) on the second-level porch. There were three covered porches at our cabin! We also enjoyed checking out all of the downtown shops and little coffee shops during our stay. I loved how everything downtown was decorated for fall, especially in The Village Shoppes. On our last full day we drove through the Great Smoky Mountains National Park to Cherokee, North Carolina, where they were hosting their annual fall Cherokee Indian Festival. 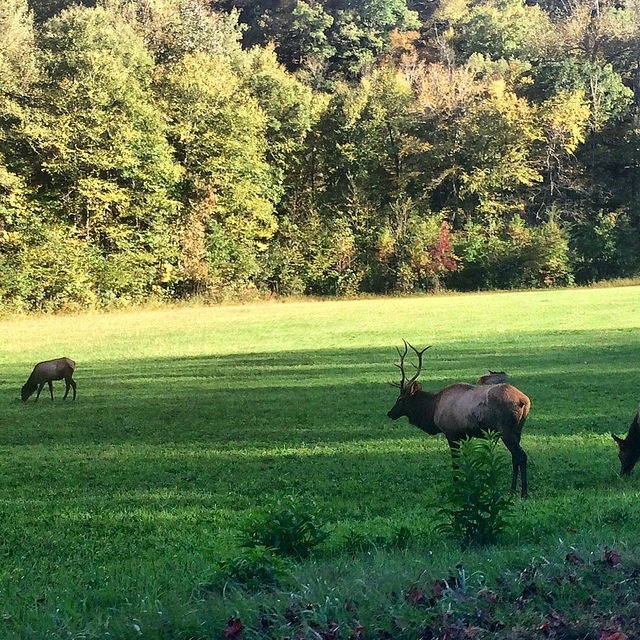 On the way back we saw an incredible sight that I have never before seen…elk right off the road. It was so amazing to share this experience with our kids! Considering a trip to Gatlinburg with your family? I highly recommend Gatlinburg Falls. 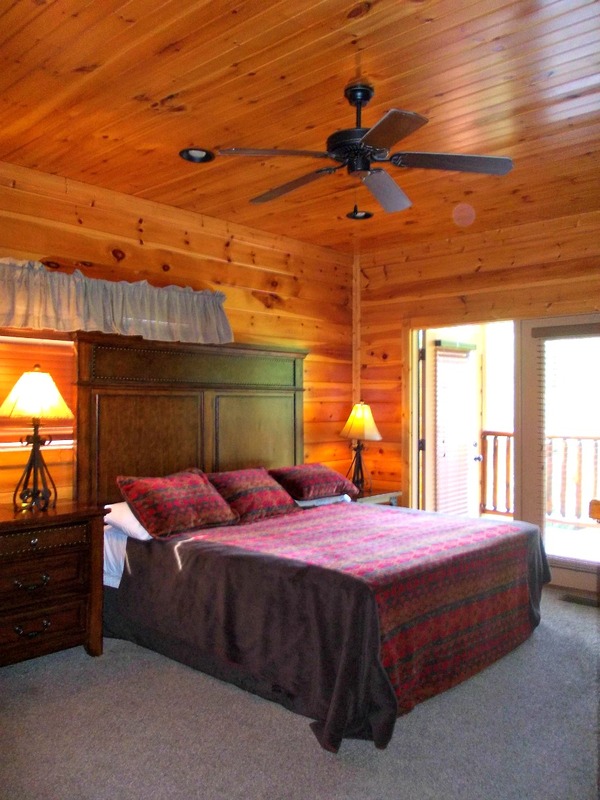 Cabin sizes range from 1-bedrooms, perfect for couples, to the grand 18-bedroom Smoky Mountain Mansion. Amenities vary by cabin, but include things such as Jacuzzi tubs, pool tables, game rooms with arcade games (Galaga, Ms. PacMan) and some even have home theaters. Our cabin also featured an Indiana Jones pinball game. Outdoor pool (although it was closed for the season) and fitness room. Generous pet policy: $50 pet deposit, with no size or weight restriction. Follow Gatlinburg Falls Resort on Facebook for updates on rental deals and additional seasonal specials. Disclosure: Our accommodations were provided for free in exchange for our honest review. 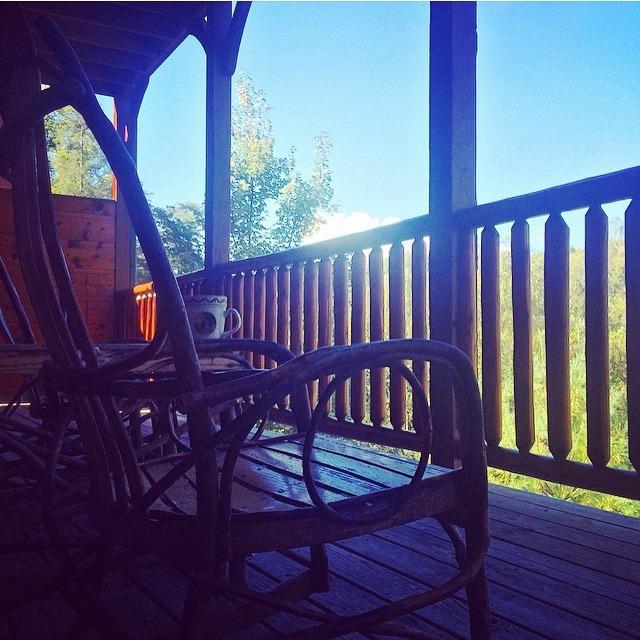 This entry was posted in Travel and tagged cabins, Gatlinburg, Smoky Mountains, travel.